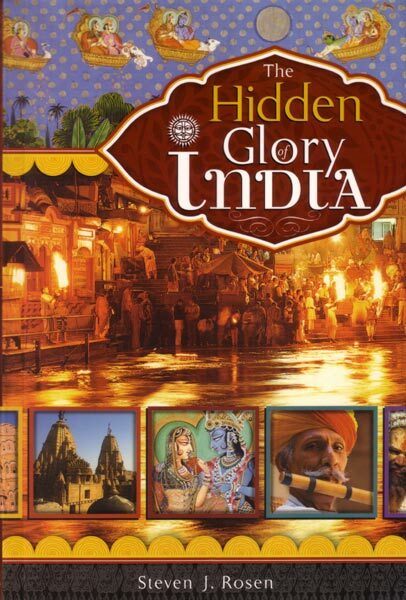 A concise, colorful overview of philosophy and culture of Vaishnavism, or bhakti-yoga—the hidden glory of India. Vaishnavism (worship of Vishnu, or Krishna), in contrast to popular notions of "Hinduism," is not only monotheistic but highly personalistic in its view of God. Krishna has many expansions and avatars (incarnations), but He is seen as the one Supreme Lord, the Father of all that lives and the Creator of the cosmos. Drawing on his thirty years of research, Steven J. Rosen (Satyaraja Dasa) demystifies Gaudiya Vaishnavism, from the basics of the spiritual path to advanced techniques for chanting the maha-mantra. Here's the most concise, colorful overview of philosophy and culture of Vaishnavism, or bhakti-yoga—the hidden glory of India. The essence of Sri Chaitanya’s teaching is bhakti, or “devotional love for Krishna.” The word itself is derived from either of two Sanskrit roots. The first is bhanj, which refers to “separation.” This derivation indicates the importance of Vaishnava dualism: one can serve only a God who is “separate” from the self. If the living being is fundamentally one with God, as Advaita Vedantists propose, there is no opportunity for bhakti, because bhakti implies two entities: the devotee and the one to whom he or she is devoted. More commonly, bhakti is traced to the verbal root bhaj, which means “to worship,” “to be devoted to” or “to participate in.” In the second verse of his famed sutras on bhakti, Shandilya defines bhakti as “exclusive and intense loving attachment to the Lord.” The Vaishnava sage Narada elaborates upon this definition in his Narada-bhakti-sutra, where he says, “Bhakti consists of offering one’s every action to the Supreme Lord and feeling extreme distress in forgetting Him.” (Sutra 19). The very first book of the Bhagavatam defines bhakti as parama-dharma, or “the highest and most satisfying function of the soul.” Bhakti is thus paramount in Vaishnava thought. Coincidentally, during this same period the Western world experienced its own renaissance—one that moved in the opposite direction. If the Indian renaissance emphasized devotion to God, the Western one focused on empirical learning and material progress, on science and technology. In essence, Western materialism came to the fore, and spirituality receded to the background. The European Renaissance is often remembered as a period of growth, a journey toward self-sufficiency and self-discovery. To characterize these times, historian Jules Michelet coined the term “rebirth.” Those were times of a newfound awakening, when man was able to escape his preoccupation with religion and superstition and to become truly progressive by focusing on material nature, on the body, and on the world around him. Man moved toward materialistic complexity, leaving spirituality and simple living as a thing of the past. The bhakti renaissance, unlike its Western counterpart, was a move toward minimalism, if also toward essential spiritual truths. Rather than reach for new levels of complexity, this renaissance was concerned with the essential dynamics of the religious impulse; it responded to man’s inner need for devotional exchange with his Creator, to man’s longing for love. There were those, however, who held on to ritualistic tradition and resisted the “new ideas” of the bhakti reformers, even though the bhakti movement drew its premises from the very same texts the traditionalists used. Nonetheless, most of India has been greatly influenced by bhakti and bhakti’s practitioners. This may be because bhakti speaks to something fundamental in man, and because the opposite—a renaissance moving toward material progress—while advantageous in some ways, ultimately leaves one spiritually barren, without a soul. In the 1950s, an Austrian scholar named Walther Eidlitz published a book called Unknown India. He writes of his quest for truth and of his subsequent relationship with Sri Maharaj—his guru, whom he met in the Himalayas in the 1930s. The story is familiar: a Western seeker finds an Indian teacher and decides to adopt a traditional form of Eastern spirituality. Impressed by Sadananda’s knowledge and wisdom, Eidlitz feels that Sadananda has augmented the knowledge received from Sri Maharaj, and consequently accepts Sadananda as his new guru. Thus, “the unknown India” that Eidlitz writes about is not the exotic land itself, nor is it the teachings commonly associated with Hinduism. Rather, Eidlitz comes to see Vaishnavism as the hidden glory of India. 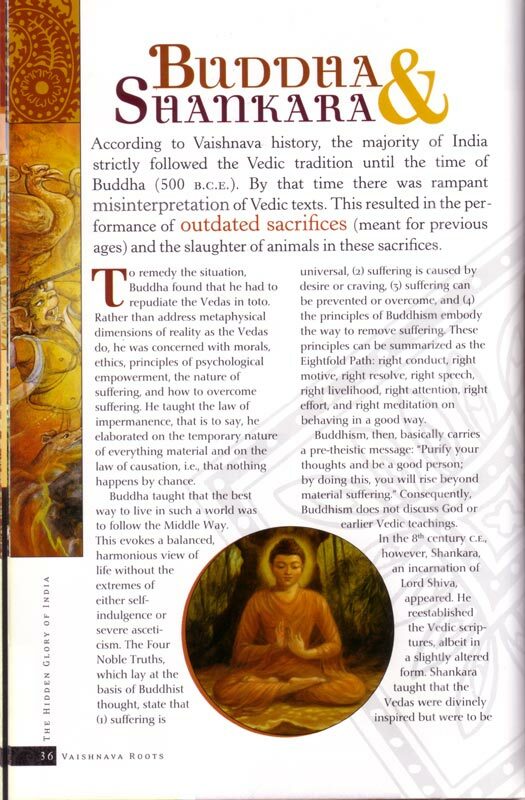 Still, one wonders why Vaishnavism would be considered “hidden.” The 1996 Britannica Book of the Year asserts that Vaishnavas make up 70% of the 800 million Hindu constituency (25% are Shaivites, worshipers of Shiva; 2% are neo-Hindus or reform Hindus of various leanings; and the balance is made up of adherents to other Indic faiths). Thus, Vaishnavism constitutes the majority of the Hindu world. Nonetheless, the West is unfamiliar not only with the term “Vaishnavism” but with the tradition it denotes. The obscurity of Vaishnavism is in part due to the 1893 World Parliament of Religions Conference in Chicago, which hosted Swami Vivekananda of the Ramakrishna Mission as India’s representative of Hinduism. At that conference, Vivekananda popularized for the West a Hinduism that embraced a plethora of gods and ultimately Advaita Vedanta (an impersonalist view of reality). Had a Vaishnava been invited to that consequential gathering of religious representatives, we in the West might now have a very different perspective on Hinduism. 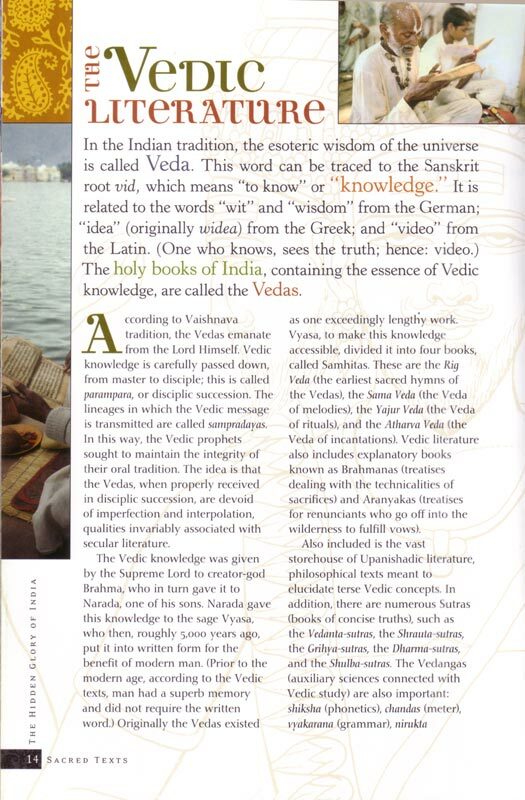 Vaishnavism, in sharp contrast to the “Hinduism” of Vivekananda, is not only monotheistic but highly personalistic in its view of God—Krishna may have expansions and avatars (incarnations), but He is seen as the one Supreme Lord, the Father of all that lives and the Creator of the cosmos. In other words, while Vaishnavism may not be the most well-known form of Hinduism, it is India’s richest and most significant religious tradition. 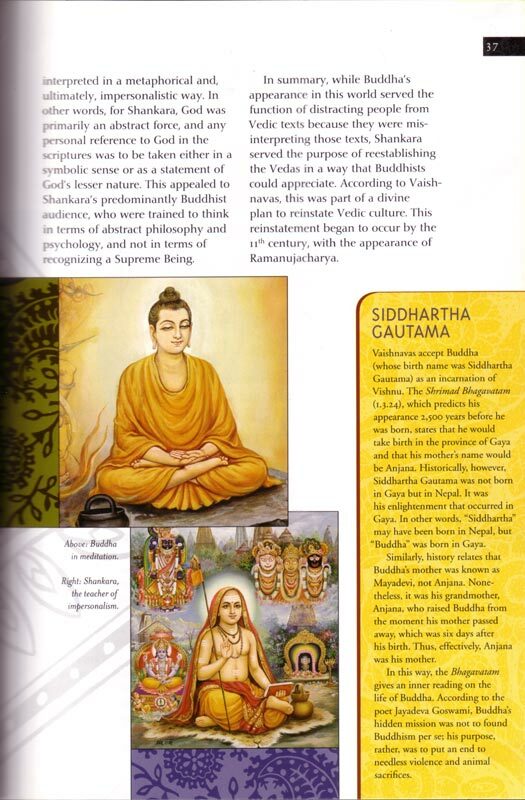 Unlike many books that explore India or Eastern spirituality, this work will focus squarely on the Vaishnava tradition, including its most contemporary and far-reaching manifestation—the International Society for Krishna Consciousness (ISKCON), founded in 1966 by His Divine Grace A.C. Bhaktivedanta Swami Prabhupada (referred to popularly as Srila Prabhupada). Incidentally, Srila Prabhupada was also initiated by Sadananda’s guru, Srila Bhaktisiddhanta Sarasvati Thakura. 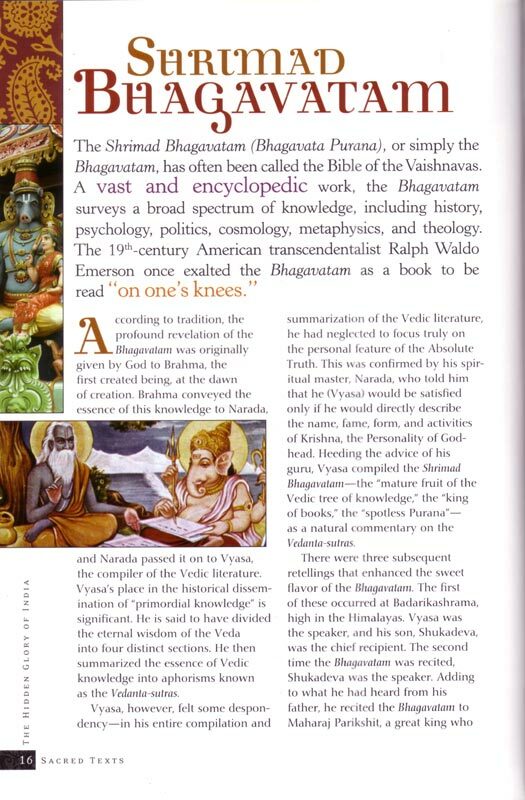 Readers of this work may be familiar with the images of Krishna, Shiva, Ganesha, Brahma, and so on, but now these images will take on a new significance; they will be described in terms of their Vaishnava origin. Vaishnavism is understood by its practitioners as a universal, nonsectarian theistic tradition. Originally the Vaishnava tradition is called Sanatana Dharma, “the eternal religion,” or “the eternal function of the soul.” Vaishnavas see it as universal truth, applicable to East and West alike. Krishna, for example, is viewed not as an “Indian” god but as the same God who is worshiped in the Judeo-Christian tradition. Brahma, Shiva, Ganesha, and the other divinities are regarded as highly elevated beings, like angels. It is this all-encompassing Vaishnava spirituality that the present work is meant to convey. Specifically, the focus is on Gaudiya Vaishnavism—the Vaishnava religion propounded by Sri Chaitanya Mahaprabhu (1486–1533), who is revered as an incarnation of Krishna. While Vaishnavism may not be the most well-known form of Hinduism, it is India’s richest and most significant religious tradition.